So, you want to become a River Hawk? My job is to answer your questions and provide the information that you need to become a River Hawk! Please check out the information below and contact me with any questions. Click the bars below to reveal / hide the answers! What if I am unsure about my major. Can I still start classes? Yes. That's OK! On average, college students change their major at least three times over the course of their college career. 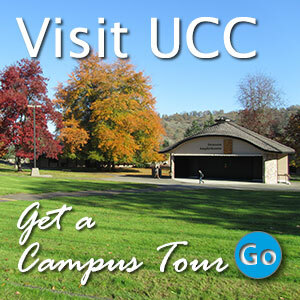 You can learn and explore at UCC. What do I need to do in order to take classes at UCC? Please see page 2 of our admissions application. You can also visit our Getting Started page. Can I enroll in just one or two classes? Definitely! Many students choose to go to school part-time. Be sure to check with the Financial Aid department and the Scholarships department to make sure that you are OK to go to school part-time. How much is tuition at UCC? You can get the latest costs on the Tuition & Fees page. Get the latest information from the Financial Aid department. Does UCC have on-campus housing? No. UCC does not have on-campus housing. Is there an on-campus day care option? Yes! The Ford Childhood Enrichment Center provides on-campus day care. I want to start school. How can I find out about important dates and deadlines? Visit the Academic Calendar page and/or sign up for text alerts. 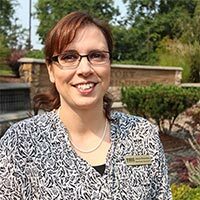 Does UCC offer a tuition payment plan? Yes! Students can enroll in the Nelnet payment option to set up automatic payments.